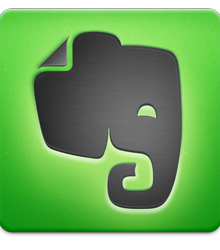 The planner diary of the digital world, Evernote has become the most effective planner and manager app available on the market. Integrating features from the Calendar app, Post-it Notes, Memos, Document recorders, Reminders and what not, Evernote offers a functionality that is combined with flexibility that is difficult to surpassEvernote has become an essential simply due to its ease of use. With an app for every interface, it does not matter if you do not have your device at hand. As long as you have access to the internet, Evernote will help you with every tiny detail that you have bookmarked. The app itself is one that you will love from the first go, or hate it till you get it. The first time you sign up, the blank page sort of gets you confused, but once you start adding little notes, scanned images of receipts, documents, handwritten notes, texts, shopping lists and more; the actual versatility of the app comes shining through. The app lets you search for any bit of data that you have entered through the use of smart tags and geo-tags. You can also run searches based on dates and titles. The app also lets you arrange your notes in folders and sub-folders allowing you a hand when it comes to organizing, no matter how unorganized you may be! 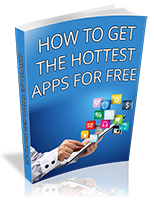 The free app gives you 60 MB of storage space every month. If you prefer writing recipes and articles down, that isn’t much of a downer. However, if, like me, you’d rather take a picture, you’ll find that you hit the 60 MB upload limit quite quickly. That said, every month the upload limit is reset, allowing you to upload a little bit more. The premium version offers an advanced chat option that lets you collaborate with colleagues and employees when sharing a document, and auto-integration of updates. The closest another productivity tool comes to this handy and versatile app is the Microsoft OneNote, which in all honesty is a lot more to handle at a more premium cost. The app is free to download on all Appstores, on devices running Android 2.3 and up, and iOS 7 and up.